As I am sitting here preparing for my next speaking event, the WGLA Leadership in Excellence Annual Conference, I started considering savvy safety for travel. One thought led to another and since Spring Break is just around the corner, it seems like an appropriate time to share Savvy Travel Tips. Let me know how these help you. Okay? And if you have a specific travel concern, let’s talk about it. Email me: regina@reginarowley.com This is by no means an all inclusive list, just wanted to get you thinking. Since parking lots and restrooms are among the top three locations women are assaulted, it makes sense to understand how we can be savvy when we use these locations. A few little changes to our routines and we reduce, sometimes mitigate, the chance of becoming targeted. Pay Attention to others! What are they doing? Where are their hands? Stay alert, look around. Is anyone sitting in a vehicle? loitering around? Travel as light as possible. Reduce/Eliminate multiple ‘things’ in your hands. Are you carrying a backpack? Be mindful of people behind you and their ability to zip you pack open. Do you have it zipped closed? Remain alert in restrooms. Scan under the doors, maybe push on them to verify the stall is empty. Notice if the main door opens and someone enters or exits the room. Avoid getting lost in phone messages, texting, phone calls (no one wants to hear your conversation anyway). Remain alert and engaged with the environment. Pay attention to others in the room. *Be mindful of who can see your ID, boarding pass, luggage tag (use one with a cover) and anything else with your name, address or other personal info. Don’t provide would be attackers or home invaders with easy access to your info. Walk to and from your vehicle with intention. Park and keep doors locked as you gather your belongings. Scan mirrors and area around you before exiting vehicle. 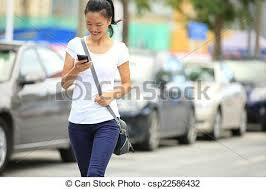 Notice anyone, male or female, sitting in vehicles, walking, etc. Stand perpendicular to trunk and doors; this allows you to maintain balance easier and to continue looking around you. If someone where to try to push you into a vehicle, use your arms and legs to brace on door/trunk frame. Yell and draw attention. Keys are out and ready, loose papers, etc. stowed before you exit the building for parking area. Look around your vehicle before unlocking. Enter immediately, lock doors immediately, put it in gear and leave immediately. Reduce opportunities for someone to smash a window or use an app to unlock your door. Watch and ensure you are not being followed out of the parking lot. Using a Taxi, Uber? Use a map program before your trip. Put in your destination and be familiar with the route options. Maybe print the map. Be cautious with your small talk. Avoid revealing too much information about yourself or travel plans. Air Travel: Other passengers, sitting next to you or walking down the aisle do not need to see your name and personal info. Be mindful of what you have lying in view as you get situated. Are you taking a magazine? Consider removing your mailing label. Is your boarding pass on your lap or the seat beside you as you get settled? Turn it face down. You get the idea. Hotel Savviness: Use the same precautions you would for a night on the town at home. Limit alcohol consumption. Do NOT accept drinks from others. Do NOT allow someone to walk you back to your room. Have a buddy system. Know where and when you are reconnecting. Better yet, try to stay in the same vicintiy and watch each others backs! Walk each other back to your room(s). Don’t invite strangers back to your room and DON’T go to a strangers room. Being savvy about your room safety can be the difference between enjoying your trip or dealing with a crisis. Know the emergency exit plan and route. Be sure your room door closes completely! Push/pull it completely closed! Double lock it when you are inside!! Really Regina, doesn’t this go without saying? I wish! So always lock it. Keep your balcony door/window closed and locked for safety; at night, when you are out, when you sleep. Treat it like you should a back door at home, closed and locked. Be as protective of your room number as you are your ID and home address. Avoid leaving it lying around for room service, etc. Do you use your peep hole at home? I hope so! Same savviness at the hotel. Verify who is at your door and why before you open it. You do not HAVE to open it. 🙂 Your safety is more important than obliging someone or society’s norms and compromising your safety by opening the door against your better judgement. Avoid carrying large sums of cash or flashing expensive jewlery. Lock them in your room safe if you simply must take them with you. Otherwise, leave them at home! Plan your route in advance; consult maps indoors before leaving your hotel. Locate places on your route where you can go for help. Be aware of your surroundings and trust your intuition. Leave an area if it appears unsafe. Ask directions from service providers, hotel desk staff, telephone or power company employees, police or traffic officers. Avoid asking strangers on the street. Always use savvy safety with alcohol; alcohol consumption diminishes awareness. Diminished Awareness reduces your response time in all things.